1960s vintage AM transistor radio - who needs an iPhone? Okay, there's no getting around it. I'm old. I'm old enough to remember when the Beatles were still together, I'm old enough to remember the Jolly Green Giant commercials that came on during "Green Acres." I'm old enough to remember "I Dream of Jeannie" and "Bewitched," and Ed Sullivan and his "really big shoe" (other old people will understand this). One of my earliest memories is watching television with my mom on a Sunday morning when Jack Ruby shot Lee Harvey Oswald. I remember, too, almost four years later, staying up late one June night when Robert Kennedy was assassinated. I remember Martin Luther King's assassination, I remember watching cities burn on television in race riots, and I remember Walter Cronkite at 5:30 every day, while we ate our dinner, giving casualty totals from Vietnam. I was just a kid, born in 1958, so I didn't know any different. I didn't appreciate what tumultuous and historic times I was living in. I was too busy being a kid, playing baseball, hanging out with my friends, and listening to WLS out of Chicago and WOKY out of Milwaukee--1960s top forty radio. Top 40 radio was obnoxious, loud and in your face, playing the same commercials and songs over and over again. When the commercials weren't yelling at you (the ads for Great Lakes Dragway in Union Grove come to mind: Sunday, SUNDAY, SUNNNDAYYY!!!) the disc jockeys were, and every few seconds the little jingle with the station's call letters would remind you of who you were listening to. Then they'd play whatever awful song was popular at the time over and over again (a couple of examples come to mind: "Because love grows, where my Rosemary goes ...." and "Me and You and a Dog Named Boo"). Much of it was just terrible, and we understood that, even when we were eight to ten years old. 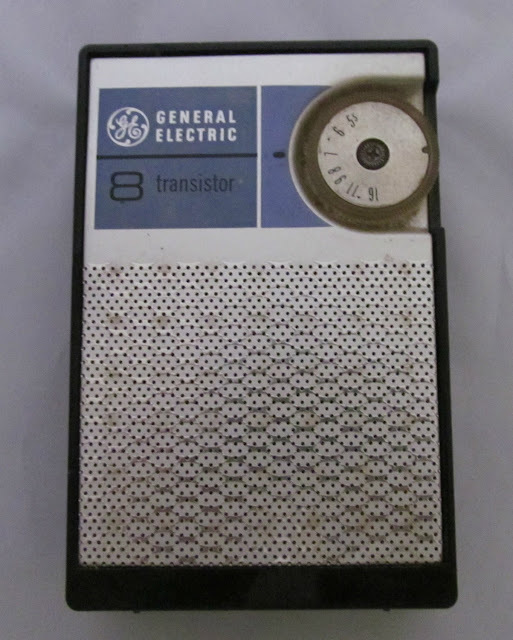 But we'd listen anyway, through tiny and tinny sounding transistor radios, because we knew that, eventually, the DJ would get to a good song, and the good songs were often great, and made up for all of the crap. My days as a Top 40 radio junkie went from about 1966 to 1972. Despite, or maybe because of, the turmoil and trauma we were going through as a country, pop music has never been as sweet and innocent as it was in those days. Top 40 songs were generally short, usually about three minutes in length, and relied on musical hooks and catchy melodies to grab your attention. Most of it was crass commercialization, but the best songs transcended the medium, even while being faithful to its rules. Like everyone else, I was a big fan of the Beatles. I remember watching them on Ed Sullivan in 1964. By 1968, when Hey Jude was released, they had transformed from lovable mop tops to full blown hippies who embraced the drug culture. Hey Jude was in many ways a return to their simpler, more innocent sound. What I liked about it then, and still do, was the aching that the song so simply and elegantly articulated--the key lyric is "take a sad song, and make it better"--the "na na nas" that are repeated at the end are filled with such feeling and meaning, and Paul McCartney's vocals, especially his James Brown-ish screeching over the chorus, are incredibly moving. Hey Jude blatantly violated the three minute length rule, clocking in at more than seven minutes, but it still remains a great AM radio hit. This is one recording I like as much, if not more, than I did when I first heard it. Like every kid ever, I grew up feeling that I was misunderstood and a little bit lonely. Being almost a year younger than most of my classmates, I was smaller and less mature, and felt like I didn't fit in. Smokey Robinson was the Shakespeare of misfits; he articulated our angst like no one else. Sure, he wrote catchy melodies with clever rhymes, but it was his voice more than anything. Nothing is as eloquent or elegant as when he sings "oh yeah, baby" over Stevie Wonder's melody on Tears of a Clown. Smokey Robinson was the heart of Motown, and with its parade of sweet and innocent melodies, Motown was hope in dark times; it was a light at the end of the tunnel of violence and mayhem. A big part of Presley's comeback, In the Ghetto was written by a young country singer who would go on to success of his own, Mac Davis. In the Ghetto is a showcase for what a beautiful and emotive voice Presley had, and even though the lyrics and the arrangement are over the top, his voice delivers the emotional goods. I was nine years old when the song came out, and I remember holding back tears every time I heard it. Written by an unknown folk singer named John Denver, this is another song that reaches into your chest and rips your heart out. A favorite among soldiers being sent to fight in Vietnam. Because the sound quality of most transistor radios and the AM band was so bad, most hit songs had to rely on melody and tempo. Few songs have ever had as gorgeous a melody as Can't Take My Eyes Off of You, and when the horns kick in with the "ba-da,ba-da, ba-ba-ba-ba da" and lead to the "I love you, baby, and if it's quite all right" lyric, well, that, my friends, is just about the most effective change of tempo ever. The best example I can give of how quickly things changed in the sixties was that in 1965, Herman's Hermits, with hits like Something Good and Mrs. Brown, You've Got a Lovey Daughter was my oldest brother Mike's favorite band; two years later, he was a disciple of Jim Morrison and the Doors. To me, There's a Kind of Hush was the perfect love song for a little kid who didn't know anything about love except that it was as intimate as a whisper. Today when I hear the song I recognize it for the pure bubblegum it is--and then I go around humming the melody for a week. The classic hit from the classic one hit wonder band. I Fought the Law hit the charts in 1965. It was written by Sonny Curtis of the Crickets in 1959, who sang vocals on the original recording, replacing the late Buddy Holly. The Bobby Fuller version sounds just like a Holly song. Six months after it hit the charts, Fuller was found dead under mysterious circumstances, ruled a suicide, while some still believe he was murdered. The song has been covered countless times, most famously by the Clash, while John Mellencamp ripped it off with his hit, "Authority Song." This song was a favorite of my brother Don and I in the bunk bed days of our youth. I'm proud that I liked this song as a kid, because as an adult, I recognize it for its incredible groove, and the greatest horn arrangement on any song ever. Another one hit wonder, Spirit in the Sky features some great guitar work and a nifty combining of psychedelic and gospel. One of the songs that to this day, if it comes on while I'm flipping through the channels, always makes me stop. A southern Gothic novel in four minutes and fifteen seconds. As atmospheric as any song ever recorded. It used to send a chill down my spine whenever I heard it; all I knew, it was about someone jumping off of a bridge near "Choctaw ridge," and was sung in an eerie, husky voice, with a simple acoustic guitar riff offset by a creepy string arrangement. An outstanding example of voice, melody, rhythm, and lyrics combining to tell a story. I now recognize this as schmaltzy, but as a nine or ten year old, it struck me as very sophisticated and romantic. Its only redeeming feature is the distinctive trumpet solo. I liked this instantly and still love it, which makes up for my bad taste as a kid in liking This Guy's in Love With You. However, I'll Take You There has such an infectious groove that everybody likes it, so I can't claim any special insight. With the best rhythm guitar riff ever and horns that spin around and off of the rhythm section, Superstition is confirmation of Wonder's musical genius. That such a rich and layered and complex arrangement was able to get through clearly on the mono AM band is an incredible achievement. It sounds even better today than it did when it was released more than forty years ago. The song that I remember everybody, meaning parents and kids, liked equally. I even remember my mom humming it. Talk about hooks; this song is loaded with them, and Petula knew how to phrase them. Listening to the song it was easy to "forget all your troubles, forget all your cares" for at least three minutes and six seconds. Such a big hit in 1965, it hasn't aged well, and sounds rather ho-hum today. Another sweet Motown release that spoke directly to us lonely and shy misfits who lived lives in our head that we were too frightened to live in reality. The Temptations were disintegrating by the time this song was released, but it remains the greatest recording by what was arguably the greatest vocal group in pop music history. The string arrangement is just right, sweet and gooey, teetering on the edge of excess but never tipping over. Those are just a few of the songs I remember loving when I was a kid, during the golden age of AM radio. I know I've left a lot of great stuff out; off the cuff, I notice I didn't list any tracks from Creedence Clearwater Revival, Jackie DeShannon, or the Supremes--all great artists who thrived on the AM band. If anyone reading this is also old enough to remember this era, I'd be interested in hearing what songs or artists you loved.